To provide for Christian families a Christ-centered education that disciples our students to honor Jesus Christ in thought, word and deed. Every student a disciple of Jesus Christ. 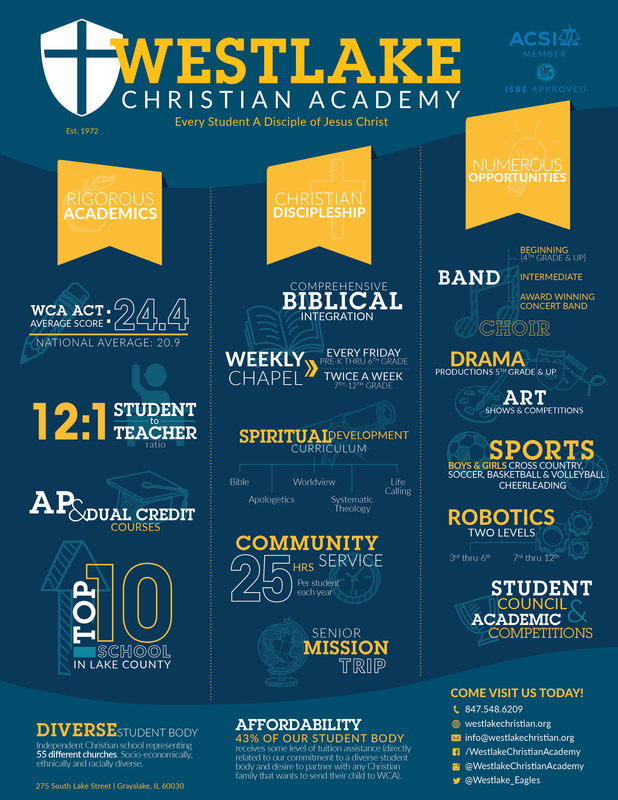 Thank you for your interest in Westlake Christian Academy. Founded in 1972 as the Waukegan Christian School, Westlake is a Preschool-12th grade independent, evangelical, coeducational, college-preparatory school whose families represent over 55 different churches in the area. 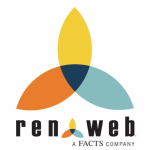 We operate as a non-profit 501(c)3 organization with a self-perpetuating board of directors. Westlake provides a well-rounded education which includes academic preparation, athletics, fine arts, and community service in a nondenominational, evangelical context. This context is established on the foundation of discipleship in Jesus Christ. 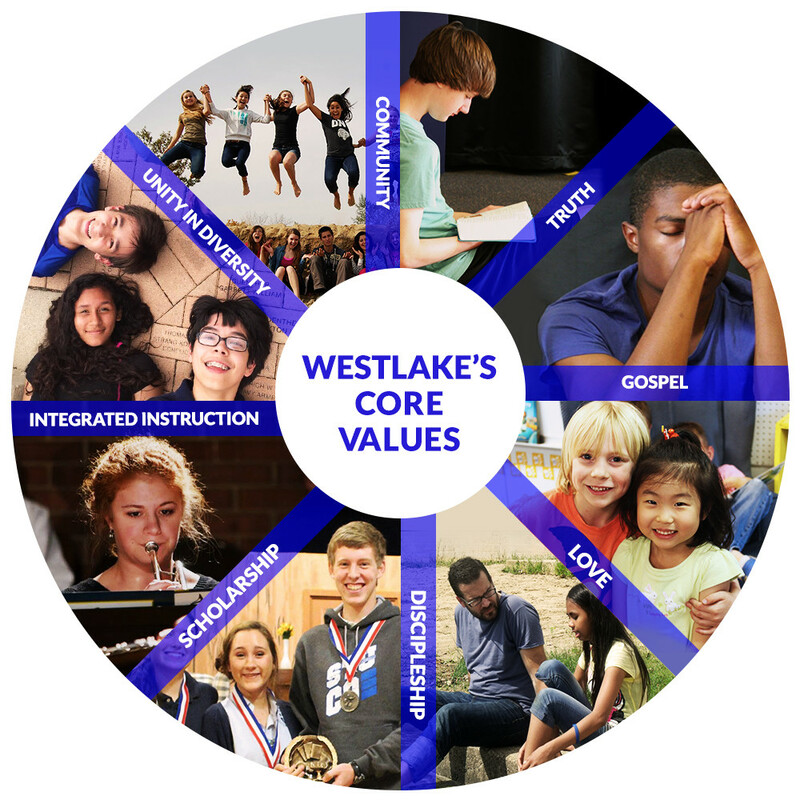 Every aspect of Westlake is geared to the spiritual growth of our students.